I new what I was looking for and was glad to find it. I was hopeful for a better deal and found it difficult to manage an agreement with financial advisor. Fortunately after hours of negotiating all kinds of terms we came to understanding. I understand I choose a very special SUV, but as a customer looking for the best I expect the best deal. Sales representative did a great job showing me my car of my dreams with great knowledge. Most beautiful car I’ve ever had!!! by Norma (Loves Schnauzers) from Chattanooga, Tn. What a beautiful car! This car is substantial, sturdy and reliable. I love that it retains it’s value, even after 6 years. I feel protected and safe while driving, and have a great view of traffic. Love those Acura headlights that light up the side of the road at night! Disappointed in extra service pkg i purchased re scratches. Car has scratches on trunk but not covered or explained to me up front at time of purchase that certain scratches aren't included. This is our 7 th. Acura MDX. This means something. I have worked with Anatoly and mansoor for the last 3 leases. They are honest wonderful service and the best price around. The finanacing was done under 20 min while I had my coffee. Thank you guys again. Rear steering actuators!! Very dangerous!! Rear steering actuators have gone bad!! Very expensive repair!! Thank goodness the dealership guaranteed it for 90 days and 3000 miles!! It is a $5500.00 repair!!!! This service center did a wonderful job in making sure I received the most out of my visit. They accommodated my last minute need for local transportation and even finished earlier than expected. Staff was great..very helpful. Purchased a vehicle 12 years ago and found the staff excellent, so I am a return customer and now the staff is exceptional! Great job you guys! I came in for a b1 service and talked to Tyler Parker about a concern I had regarding a stain on the driver seat. He was very friendly and helped me get rid of the stain after the car was serviced. 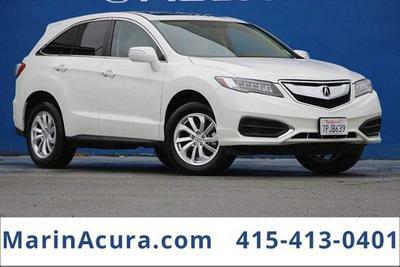 I was extremely satisfied with their customer service and would highley recommend Acura of concord. Our experience at Acura of Concord has always been one excellent professional service. Making us feel like family! Ronni is someone we would recommend to anyone! Prompt, professional and the snacks are supreme! I like the automatic reminders for car upkeep and service. Inspections are critical and keep my family driving safe vehicles. My service manager, Ronnie Garcia, is always engaGING, FRIENDLY AND KNOWLEDGEABLE. Edmund was a pleasure to work with. He was professional, friendly, and not at all pushy. He also provided great information and worked hard to earn our business. This car is fun to drive, has a clean interior, good mileage. Almost got to Maine on 1 tank of gas.I like this car better than my Lexus 350. I recently purchased a 2019 MDX at Marin Acura. Eddie was amazing to work with. He made the process comfortable, helped us understand all of our options & explained everything along the way. I will definitely recommend Eddie & Marin Acura to friends, family, co-workers, & everyone admiring by beautiful new Acura. Thank you Eddie! Moving from the east coast to the west coast, Marin acura helped make it very easy. Edmond made it very easy to correspond with via text and very knowledgeable. Paper work was quick, car was clean and the time needed to understand the new bells and whistles was as I needed. Eddie gave me a good deal, although I had his word by phone and text. It?? ?s no surprises. I really bought my RDX as his promis price. Jean- Pierre helped my financing process clearly,and make things simple. I definitely will work with them again.